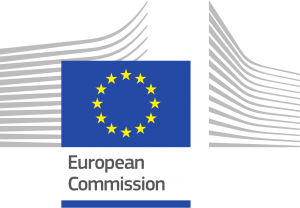 The European Commission operates a Defined Benefit Pension Scheme for those employed within the, many and varied, roles within the EC. It is a generous scheme which will pay you, in retirement, a monthly income for life. However, if you’re a member of the scheme for less than 10 years, you do not qualify for this regular pension income. What you are provided with is a transfer lump sum, a cash equivalent pension ‘pot’, based on the number of years that you had worked for the EC and the pay rate that you were on whilst employed within the Commission. This pension ‘pot’ then needs to be transferred to a suitable pension provider in order that you can be in a position to receive an income from this pension fund in your future retirement. If you’re looking for independent, fee-only (no commission) based advice on transferring your EC Pension Fund, contact us today for a fee-free initial meeting. We are experienced at providing pension transfer advice for those ex EC employees who have accumulated a pension value within the EC Pension Fund and are now looking to transfer their fund to a suitable provider. These pension rights are accumulated within the European Commission Civil Service pension fund. Under the Staff Regulations of Officials of the European Communities and the Conditions of Employment of Other Servants of the European Communities adopted by Council Regulation 259/68, officials, temporary staff and contract staff whose service terminates for reasons other than death or invalidity without their qualifying for an immediate or deferred retirement pension must, on leaving the service, transfer the actuarial equivalent of their accrued pension rights, in the EU civil service pension scheme, should they not be taking up post within another professional role, within the EC, and thus be in a position to transfer to a pension scheme of which they become a member by virtue of their new professional activities (Article 11(1) of Annex VIII to the Staff Regulations). In other words, if you are not moving to another professional role, within the EC, your pension fund must be transferred to a suitable scheme in order that you are then able to access this pension in retirement. Age at which access is permitted is from age 60 onwards. Further, income (though there is no minimum imposed) must begin by age 66. Post Created by Russell Hammond. 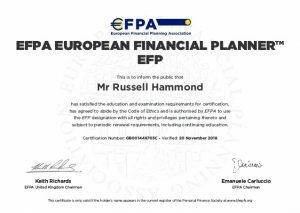 Russell is a Chartered Financial Planner and Investment Adviser, holding the European Financial Planner designation (EFPA) which confirms Russell’s competence to provide advanced financial planning and investment advice across the EU.